Angle grinders are a common sight in metalwork shops, machine shops and construction sites. These handheld power tools are a handy companion for abrasive cutting and polishing of work pieces. Having interchangeable power sources also allow them to be used in a wide range of workshop applications. They also come with numerous varieties of cutters and attachments. Since they are built to run at great speed in order to cut through hard surfaces of work pieces, misuse or mishandling can be very dangerous. It is why users are strongly advised to follow angle grinder safety rules to avoid injury. Many believe it is highly unlikely to get injured when using angle grinders but this is quite the opposite. In 2008, the U. S. Product Consumer Safety Commission declared that nearly 25,000 sustained injuries while using angle grinders. The degree of damage ranged from fatal conditions to levels requiring hospitalization. And majority of these injuries could have been avoided if users fully understood the risks involved when operating angle grinders. The importance of observing caution while using angle grinders could never be overemphasized. It is the responsibility of the user to observe safety tips and rules in order to at least minimize hazards. Carelessness and ignorance about tools can be fatal to health. This makes consideration of safe use very necessary. Angle grinders employ use of detachable parts to work surfaces while moving at very high speed. This alone makes its potency for hazards very high. If safety rules are unobserved, users risks exposure to serious, sometimes fatal accidents. This is why you must observe angle grinder safety tips. Safe use of high power machines require you to understand how they can cause you harm. You must learn how to carry out safety checks on the machines. You need to follow some procedures before, during and after use. You also need to observe caution as far as angle grinders are concerned. Rushes can result in misuse, leading to accidents. So, great care must be taken when handling angle grinders. Safety checks are the first line of defense against potential hazards from using angle grinders. They let you know the difference between a well functioning tool and a deathtrap. Knowing the right procedures for safe-checking your tool goes a long way in preserving you from injuries. It is paramount to understand how the angle grinder works. Knowing how each component is coupled to the other gives you an edge when you need to make checks. You will know exactly what to look for and what to correct if need be. Is the angle grinder really necessary for the task or can it be accomplished with another tool? Do I have the required skill level to operate an angle grinder? Do I recognize the health hazards associated with using an angle grinder? Do I have the correct Personnel Protection Equipment (PPE) required for safe operation of angle grinder? If you answer yes to all these questions, then you can proceed to learning about angle grinder safety checks. Side handle : Make sure it is firmly attached and in condition. If cracked, broken or does not fit firmly, replace immediately. Specification label : Make sure this is readable, otherwise do not use the grinder. Wheel guard firmness : Make sure attached is secured. If wheel guard is adjustable, ensure it does this freely and locks into place. Wheel guard specifications : Ensure the guard is the correct size, type and in good condition. Also make sure abrasive issued fits inside the curled lip of the guard. Accessory : Only use those that equal or exceed the RPM of the grinder. Make sure the diameter matches and also check for cracks, warping or decay. Mounting hardware : Make sure raised area of wheel flange fits properly into the accessory. Only use proper flanges and ensure it is not worn out or warped. Flange : Make sure threaded spin on accessories match the thread of the grinder spindle. Only tighten if necessary and with spanner that fits the locking flange. Power cord : Make sure prongs are not loose or bent. Cord should be free of pinches, splices, breaks, kinks, exposed wires and frayed areas. Spindle lock : Make sure the button moves freely and spindle is locked when it is engaged. Generally, angle grinders should have a slip clutch, blade guard, handle and a non-locking ‘dead-man’ switch to qualify as safe. There must also be an auto-brake which can stop the break within 2 seconds. Angle grinders rotate at an incredible speed (up to 12,000 rpm) allowing it to wear or tear any contacted surface. To make sure the surface contacted is a part of your body, you must follow the right user manual. You must also prepare your workspace so it does not contribute to health hazard while using the powered tool. Ensuring angle grinder safety requires you to make sure you are very ready to use it. You must set up protective measure in place to keep you safe as you operate. Make sure to use the right PPE before using grinder. These include face shields, eye protectors, hard hats, hard boots, ear protectors and thick gloves. You must also be certain that you are qualified to operate angle grinders. There are specific trainings that must be passed to certify you for use. Without this, it is ill-advised to attempt handling this tool. If you are not fully qualified to use angle grinders, hire someone who is. Even as qualified personnel, you must read up on manufacturers’ instructions about the power tool. These contain directions on handling, operation and the correct type of accessories to use. It also tells you about electrical functional capacity of the tool so you can avoid overworking it. Also make sure your workspace and environment is angle grinder user-friendly. Keep tools and unused work pieces at appropriate places. Make sure the floors are dry and not slippery. Ensure there are no wires lying around to avoid trips. Take note to move all flammable materials from the work area. Angle grinders produce lots of sparks which can fly off to far directions. Ensure the task to be carried out is clearly understood. This includes proper interpretation of drawings, instructions specifications and other requirements of the project. Ensure the appropriate disk is used. Be certain that the type fitted is specifically fashioned for the task at hand. Also check to confirm it is correctly in place. Make sure the work piece to be grinded or filed is firmly clamped to the table. This helps make sure you don’t have to move the grinder unnecessarily to keep up with the displaced surface. Ensure angle grinder safety guard is appropriately placed. Safety guards redirect flying sparks and chips. Make sure the size of the guarding is of required measurements for disc diameter. Be sure to know where the ON/OFF switch is located on the angle grinder. This allows easier and faster reaction in situations that require you to power down the tool. Angle grinder must be used only as directed in the user manual. Do not deviate from these instructions. The manufacturers are the best sources on how efficiently and safely their tools can be used. When using, check that the disc runs ‘true’. This means the disc must spin at a clean axis and must not wobble. If it does, stop the power tool and check alignment or make sure the disc is appropriate in size. Ensure to keep your hands away from the work piece and the rotating disc. The discs spin at a very high speed and can easily lacerate your hand if it comes in contact with it. Handle the angle grinder as directed by the user manual. Even with one of the top angle grinders, you may need to change the disc. So, be sure to turn off the angle grinder at the power point. Turn off the switch, unplug the tool from the power source and change the disc. The tendency to sustain massive injury when handling angle grinders is very high so this is very necessary. After changing disc or turning off machine, be sure that the guarding is in place before re-starting the grinder. Never start the grinder unless you are sure the guarding is set to proper position. Before cleaning or adjustment, make sure the machine is taken off the power sources. Unplug the angle grinder first before proceeding. Observe this rule as well before carrying out maintenance or repair works on the angle grinder. Switch off the angle grinder before removing waste material from the workbench. It is expected of you to clean up after work. Make sure the power tool is turn off before setting down on the bench. If you need to keep the disc, cross check thoroughly to make sure it is still in god condition. If you notice cracks or breaks, dispose of them and purchase a new one for use. Never attempt to re-use a disc if you observe faults on it. What Causes the Danger and Brings Safety into Attention? 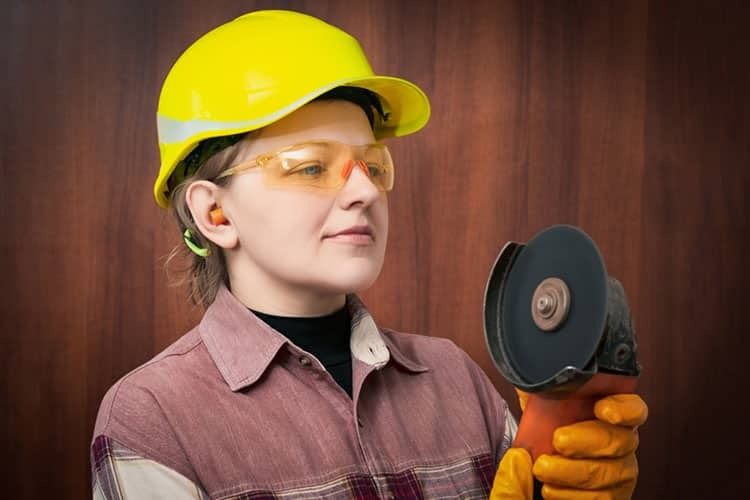 Many occurrences from using angle grinders can lead to various degrees of injuries. In addition to mishandling, operational faults can happen which may pose dangers to users. In order to protect yourself from these threats, you must understand what they are and how they can occur. You also need to know how severely they can harm you if ignored. Angle grinders are designed to operate at specifically given speed ratings. These ratings determine the specifications for what type of discs they will use. Operating an angle grinder wheel beyond its maximum speed rating can crack the disc. Further use of the crack disc may lead to breakage. To avoid this, only run the machine at the disc’s maximum speed rating and nothing more. Also, metal grinders tend to overheat during use. If left unchecked, it could cause burns which might force user to suddenly drop the device. It might even make the device short-circuit from the inside out, causing electrical injuries. Keep this in check by drenching the metal frequently with a rag and some water. Abrasive blades or throwaway blades are blades made from fusing resins with hard materials like aluminium oxide or silicon-carbide. These blades wear off easily during cutting and if used repeatedly, could shatter to pieces. The high speed of the spin can throw these pieces off, piercing whatever surface they might hit. This could cause severe incidents ranging from penetrating cranial injury to death to victims. To avoid this, you might want to opt for blades that can take high RPMs. If you must use abrasive blades, be sure to check for damages on it before using. Also, never reuse the same blade on different days. Take heed not to run the blade at a higher RPM than recommended and never tilt the grinder sideways while using. Using abrasive blades requires special attention. Most often, diamond blades are recommended than abrasive blades. These are made from a mixture of various metals and synthetic diamond crystals making them tougher than abrasive blades. They also have various erosion levels, allowing users to choose softer or harder blades for different purposes. But when misused, diamond blades could lose segments, which may fly out and injure users and others around. Exceeding the RPM ratings of the blade can cause segment loss. Using the blade to cut a material it is not specified for can increase its rate of erosion and cause segments to break off. Also, mounting a blade on a machine it is not specified for can lead to this. In dry diamond blades, continuous cutting can overheat the blade, forcing sections to break off. To minimize this, use diamond blades with strong weld or no welds, called safety blades. In these blades, the diamond sections are not welded in but attached to the metal core, minimizing segment loss. Also, do not attempt cutting curves with the blade. Do not force a blade into a material or to fit a shaft on a grinder. Always inspect blade for faults before use and avoid continuous cutting. Kickbacks on angle grinders are violent reactions caused by pinching when the disc cuts a material. The immobilization of the disc by this pinching causes the kinetic energy to move to the machine instead. This causes a rebound effect between the grinder and the surface, causing it to hit the user or anyone else around. Using incorrect blades for the can is one of the causes of kickbacks. Such blades tend to overheat and wobble, resulting in rebound. Also, running an angle grinder for too long can result in kickbacks. Cut-off parts may wedge in the guard, resulting in abrupt stopping of the rotating discs. To avoid this, it is recommended that users employ standardized discs. Be sure to test-run the disc for at least 30 seconds to ensure good functioning. Also, cut material at a straight line and at an angle of 90 degrees. Never force the disc into the machine and avoid leaning close to the disc. This reduces risk of injuries incase angle grinder kickbacks. Angle grinders produce a lot of friction when they are used to polish surfaces. 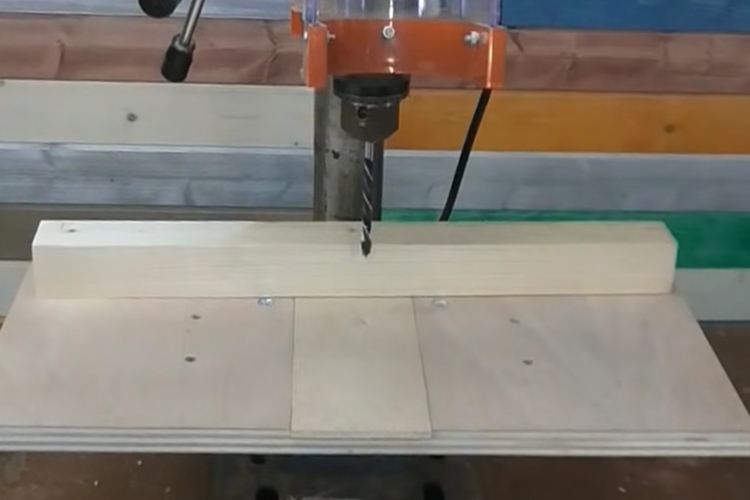 The high speed rotation chips off bits of the surface and the discs. These chips fly off in countless numbers as heated sparks. Sparks generated from angle grinders are capable of hurting the eyes and skin. They can also set off flammable materials, causing workshop fire. To prevent this, always use the approved PPE for face protection. Visors, goggles and face shields can help prevent the sparks from hitting your eyes. Ensure that the angle grinder safety guard is firmly in place to direct sparks away from user. Keep away flammable materials before initiating grinding. Also, clear workspace of waste materials that may ignite upon contact with sparks. Angle grinders work at very powerful speeds. These tools are usually also heavy and the power generated tends to cause the machine to vibrate a lot while in use. Excessive use of these machines however can lead to hand-arm vibration injuries. The best way to prevent this is to limit the frequency of use for angle grinders. This will in turn reduce your exposure to machine vibration. Angle grinders are a great help for many tasks in the workshop. They are also very dangerous to operate. Having a min set on angle grinder safety can ensure smooth operation and optimize performance in the workshop. Make it a habit so as to experience ultimate joy in operating these high powered tools.